Style Theory: I find dressing up quite tricky, I am so much more comfortable slightly dressed down for every occasion, as I have said many times before I have FOBO - fear of being overdressed. I am not super comfortable standing out from the crowd and the thought of falling over in heels fills me with dread but I also love wearing lovely clothes, dressing appropriately for an event whilst also remaining comfortable, so step forward this Wallis trouser and camisole outfit it was completely perfect for me for a day at Ascot, it fulfilled the dressed up brief without being too over the top. 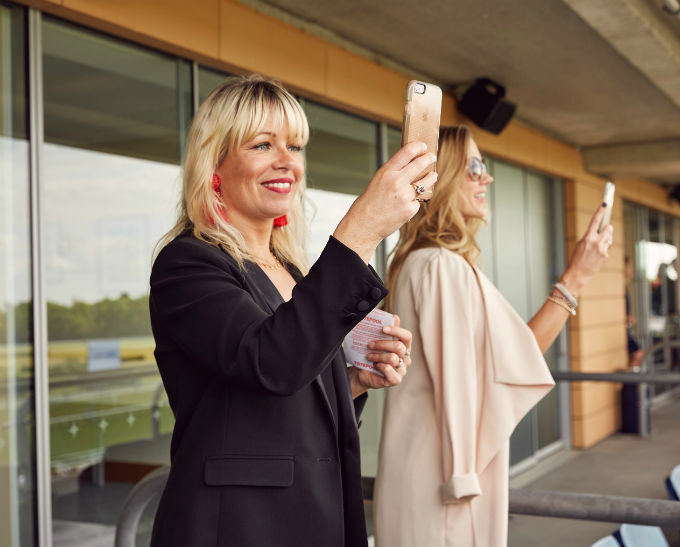 Ascot was fab, Wallis invited us to a fun packed day, watching the races from a private box, whilst eating a delicious lunch and drinking wine - just heaven! I had not been to the races before (well, to the derby a few times standing on a mound of grass outside the racecourse on tiptoes trying to spot the horses!) 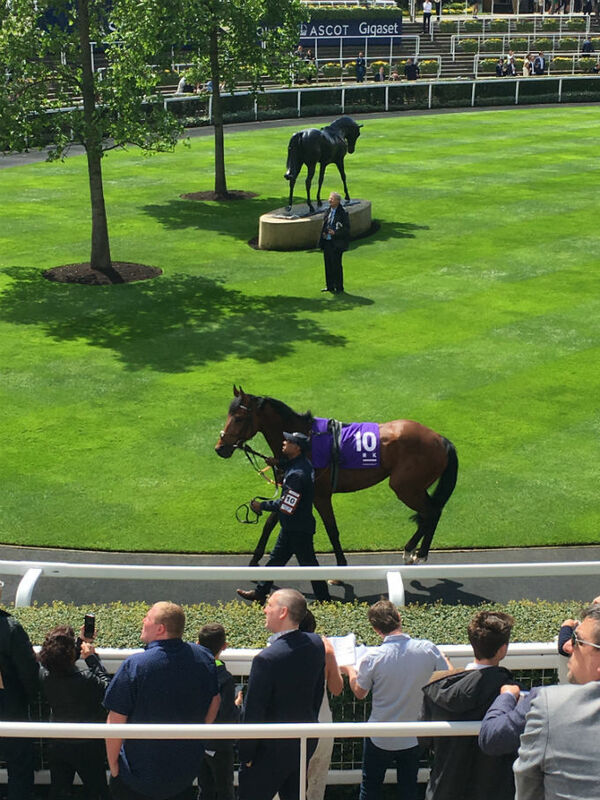 so it was a real treat to go to Ascot. It was not Royal Ascot so dress code was not super tight but I was filled with visions I would have to wear body con, a hat and skyscraper heels. 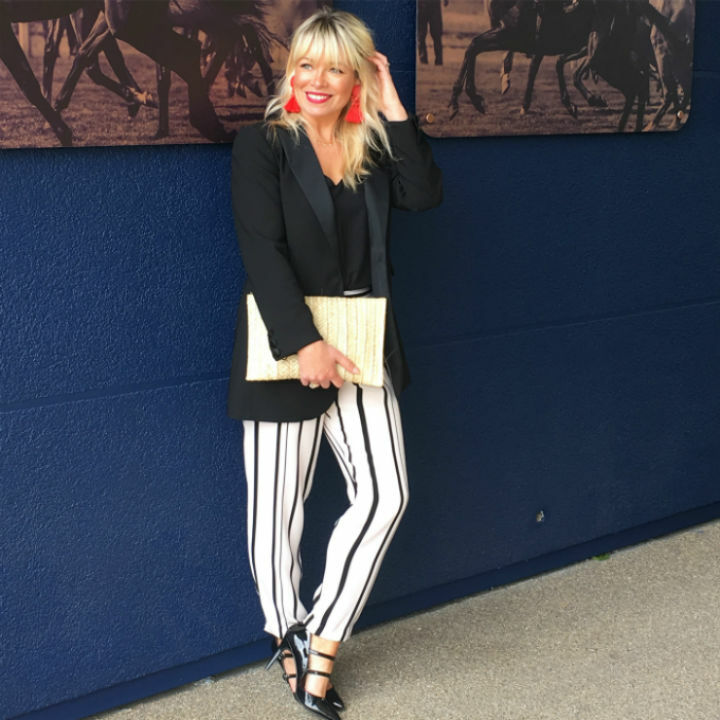 However, browsing through Wallis' website I saw these fab stripy trousers, I love a trouser..with a black camisole, black tailored jacket and black heels I knew it would tick the box for being smart, look stylish but also would be comfortable enough to wear all day. The trousers are stunning on, flattering (the vertical stripes work wonders) they skim over lumps and bumps and with an elasticated waist so I could happily tuck into the afternoon tea after the three course lunch! The camisole was a perfect fit and will be coming on holiday with me, the cut is flattering and hangs perfectly over a strapless bra. A black tailored jacket is a must have, I wear my blazers non stop in the summer, they can smarten up a basic tee, jeans and trainers look in a flash, this season add a pair of statement earrings for a laid back, cool but dressed up look. Chloe - ChloeLovesToShop lived the Pretty Woman dream in a beautiful spotty dress and gold strappy sandals, with a fab dusky peach duster coat, super glam. So now I am a fan of the races, one of my horses came second so I won (£8 I think?! - not a big gambler!) But it was so much fun, quite want to do it all again. Wallis currently have a Style Event on at the moment with up to 30% of everything..check out their jewellery it is fab! Such a treat of a day, I was happy to be in trousers (it worked!) and will be wearing them again with a white tee and a denim jacket and flat tan sandals. Replica Rolex Watches includes a longstanding history retailing probably the most esteemed, important, and costly Origina Replica Breitling on the planet. Especially of note to collectors are Rolex Submarine from Patek Philippe and Hermes handbags,This is among the later cases of a luxury 1:1 Replica Rolex Watches?the practice was stopped by Julia?in early 1990’s, making this Omega Watches and Tag Heuer Watches much more desirable. Discount womens mold shoe designs are of uncommon style in a portion of the sets that we find in the item inventory on the web. Scope of alternatives is there for us to pick and pick what we require.